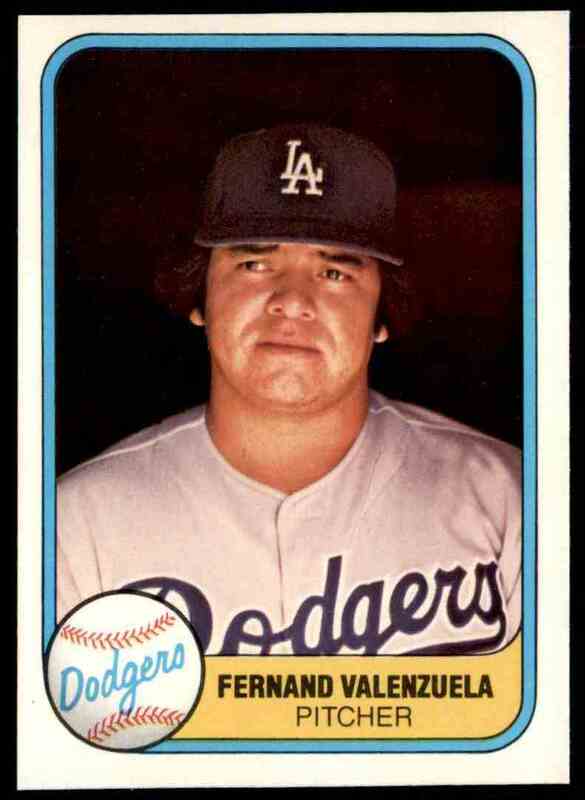 This is a rookie Baseball trading card of Fernando Valenzuela. 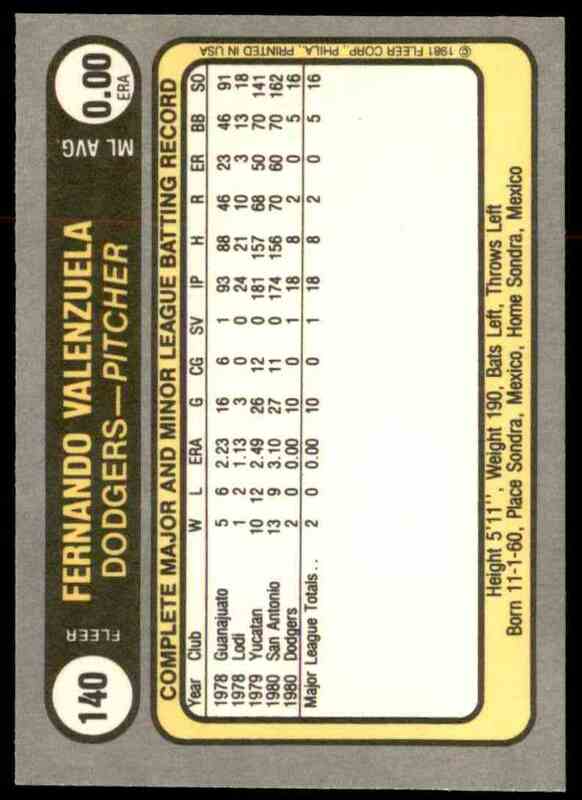 It comes from the 1981 Fleer set, card number 140. It is for sale at a price of $ 2.25. 60's & 70's Topps Baseball, Football, Basketball & Hockey and some non-sport cards. Cards bubble mailed with usps tracking. Shipping prices to Canada have gotten ridiculous.